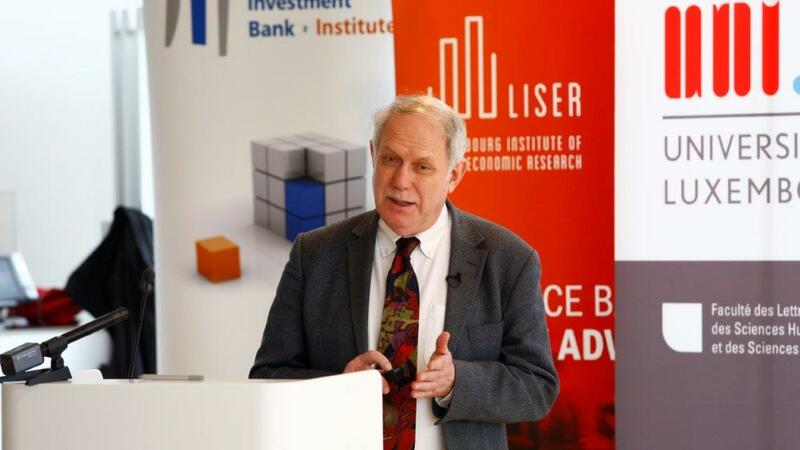 “EU identity is a major factor in understanding preference for redistribution” said Professor Frank Cowell, London School of Economics, at a seminar organised jointly by the EIB Institute, the University of Luxembourg (coordinated by MARS – Multidisciplinary Area of Research on Sustainability, Faculty of Language and Literature, Humanities, Arts and Education) and other partners as part of the “Inequality and…” series. Referring to the works of Italian economist Vilfredo Pareto (1853-1911) Prof. Cowell added that “there is a European pattern for inequality distribution distinct from that in the UK or the US” and that the “development of a European identity has influenced the perception of inequality”. EU institutions have an impact on the attitudes of Europeans and how the express them, he said, pointing to “how the introduction of the Euro has increased confidence in the EU and decreased the importance of national pride”. However, he warned in conclusion, these preferences are not immutable.